This Low Country classic has direct origins in Indian cuisine, and while historians differ on how it landed in the port town of Charleston, South Carolina, it’s no mystery how this fragrant, spicy dish became so popular. 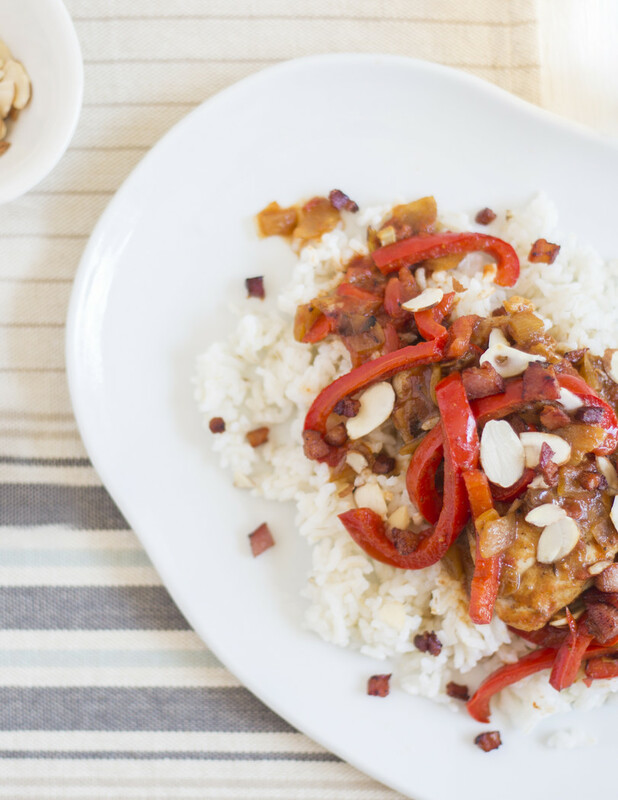 Chicken is seared and simmered in a curried sauce of tomatoes, peppers, bacon and onion, then served over fluffy white rice and garnished with almonds, golden raisins and sweet mango chutney. 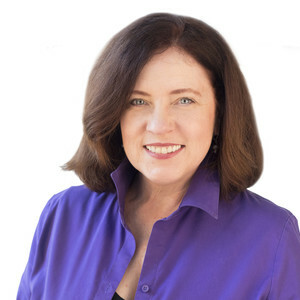 It’s worth noting that Cynthia Graubart is a Georgia Grown Executive Chef; she featured this recipe at the James Beard House in New York! Suggested beer pairing New England Style Double IPA What is a Country Captain you might ask? To us, it is best described as a Southern version of curry. We suggest serving it with a juicy double IPA. A New England style IPA is a juice bomb, and will add bitterness and sweetness to this curry dish. 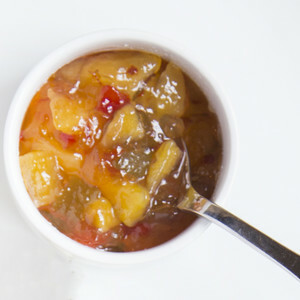 Suggested wine pairing Riesling, Mosel, Germany The sweet, tart tropical notes of Riesling are joined by their bracing lime acidity that will complement the ripe and opulent flavors of the mango chutney. It handles curry well and is not intimidated by any spices in this dish. • When water boils, reduce heat to medium-low. 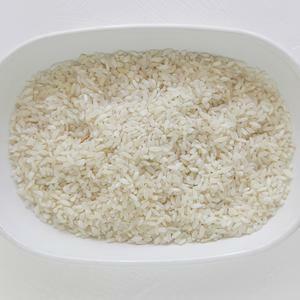 Cover, and cook until all liquid has been absorbed and rice is tender, 15-20 minutes. • Peel and dice onion. 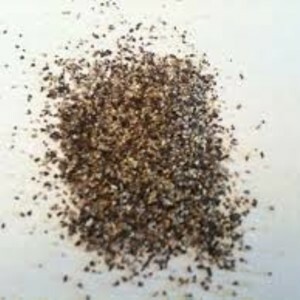 • Discard pepper stem and seeds. Thinly slice flesh. Season chicken on all sides with a total 1/4 teaspoon kosher salt and 1/4 teaspoon black pepper. • Place a skillet over medium heat. 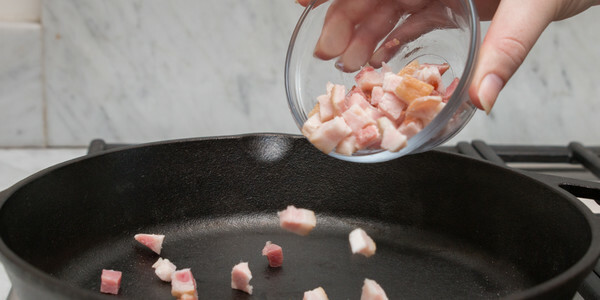 When skillet is hot, add bacon. Cook, stirring occasionally, until bacon is browned and crisp, 4-5 minutes. 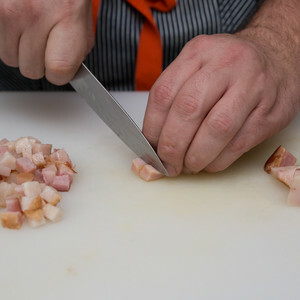 • Using a slotted spoon, transfer bacon to a plate; leave fat in skillet. • Increase heat to medium-high. Add chicken. Cook without disturbing until browned on bottom, about 5 minutes. • Flip chicken. Cook without disturbing until browned on other side, about 5 minutes. 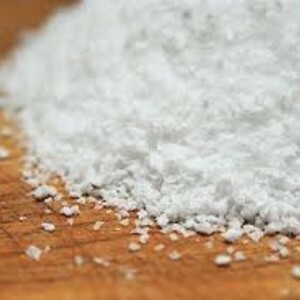 • Transfer chicken to a plate (it will not be fully cooked). 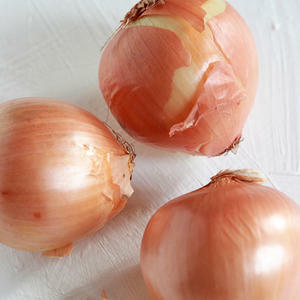 • Add onion to skillet. Cook, stirring, until onion begins to turn translucent, about 2 minutes. 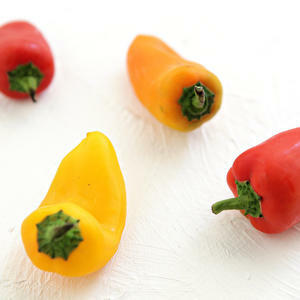 • Add red pepper. Cook, stirring occasionally, until pepper begins to become tender, about 4 minutes. 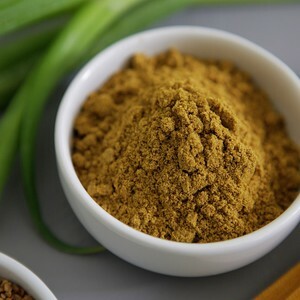 • Stir in curry powder (the full amount will yield a spicy dish; use less if you prefer). Cook, stirring, until fragrant, about 2 minutes. • Return chicken to skillet. 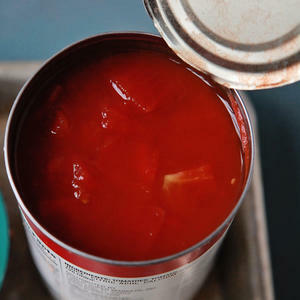 • Add tomatoes and their juice. Break apart tomatoes to incorporate. 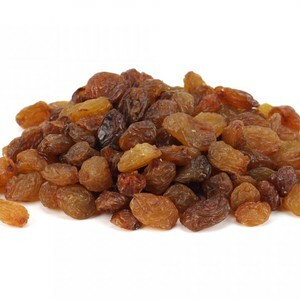 • Fold in raisins. Cover skillet, and reduce heat to low. 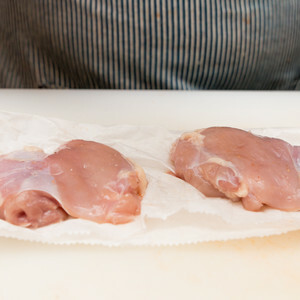 Cook until chicken is tender and opaque throughout, about 10 minutes. • Serve chicken and vegetables over rice. 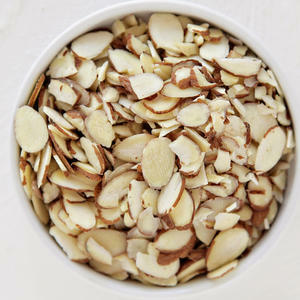 • Sprinkle with bacon and almonds. Top with a dollop of chutney, and enjoy!